And how about some birthday ecard funk? As long as it is dance funk, I say! 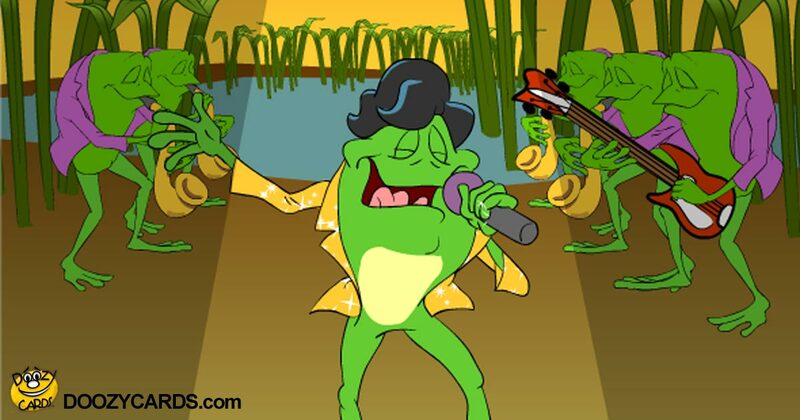 James Green has been one of our long time animated singing frog e-card favorites because he just makes you wanna dance! There is nothing like receiving a soundtrack from one of our music composers and listening to what they have created. When we listened to this soundtrack we thought, "Wow, just like James Brown," the indisputable King of Funk. No one will ever forget how incredibly unique and extraordinairy his music was. James Green's moves, shiny jacket and band of musicians bring it to the Doozy stage and what a birthday it is! 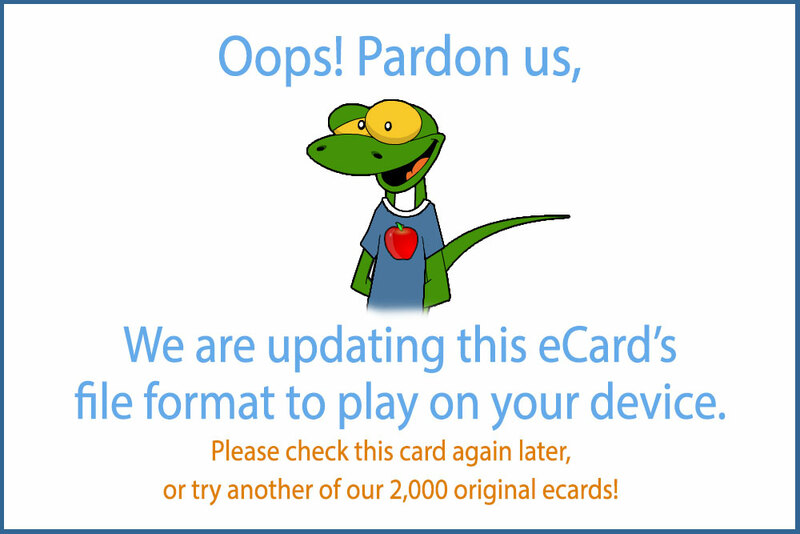 If you like this funky birthday e-greeting, be sure to view our Lounge Lizard Bday ecard as well.